For nearby granary, see NT75SE 90. (Location cited as NT 788 532). Duns Station, opened 1849 by the North British Rly. 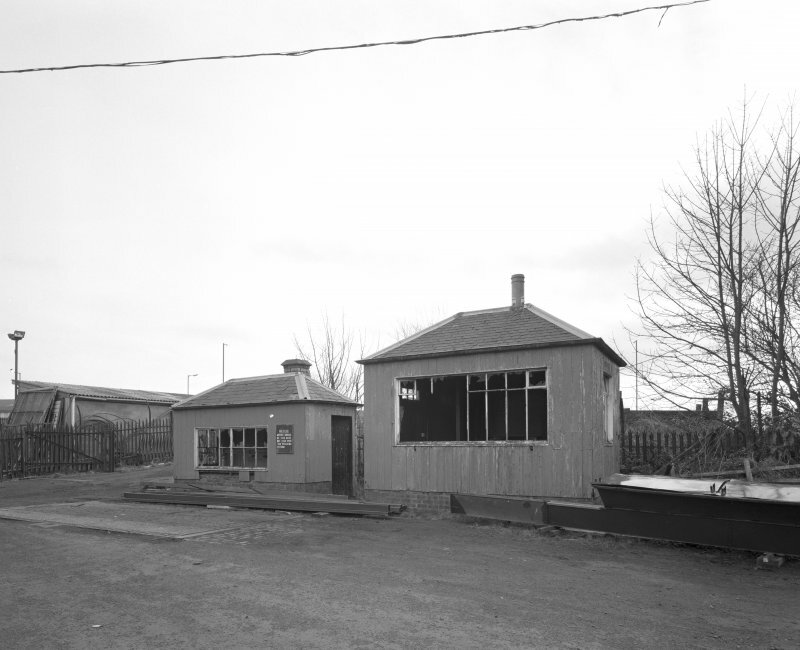 Formerly a two-platform through station, the buildings are largely intact and consist of wooden platform shelters with awnings, that on the down platform containing the offices. The up-platform building shares a wall with the wooden goods shed. The wooden buildings are now occupied by a joiner and a blacksmith. This intermediate station on the Reston-St Boswells secondary line of the (former) North British Rly was opened (as Dunse Station) by that company on 13 August 1849. It was renamed Duns Station in May 1883 and became the terminal of the remnant branch from Reston with the closure of the St Boswells-Duns portion of the line on 13 August 1948. It closed to regular passenger traffic (with the remnant of the line) on 10 September 1951. Information from RCAHMS (RJCM), 29 February 2000. This complex forms what remains of the former railway station at Duns. 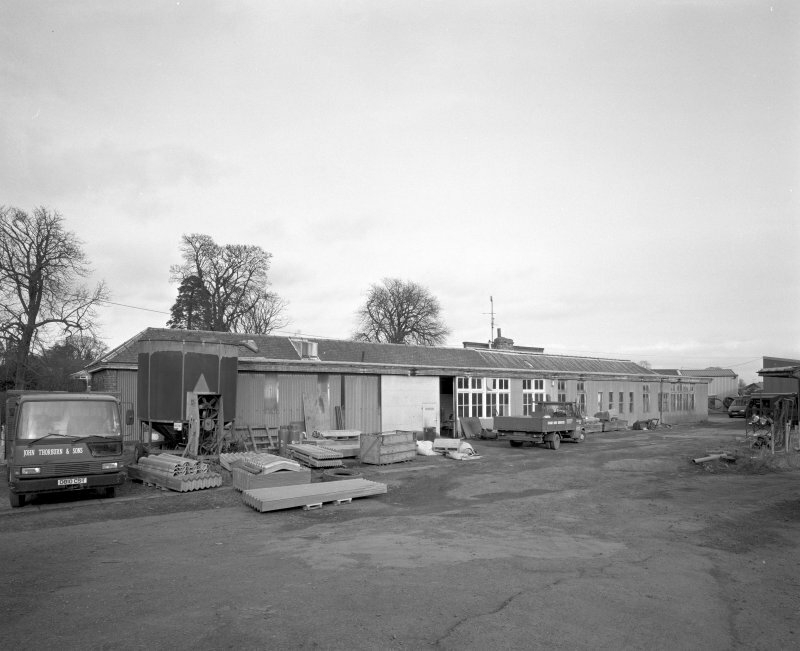 At the time of the RCAHMS photographic survey, February 1998, a number of largely derelict railway buildings were still standing. 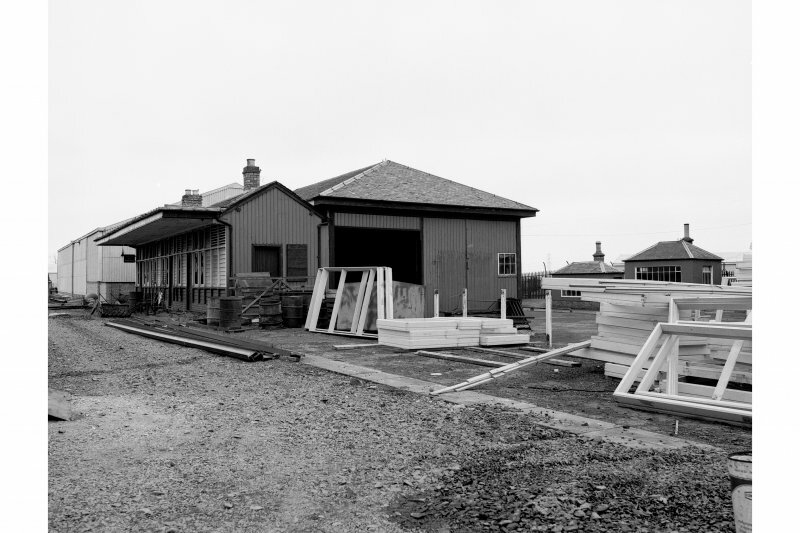 These included the former Passenger Railway Station, the Goods Railway Station, the Weighbridge House and office. These buildings were largely wooden-clad single-storeyed buildings. 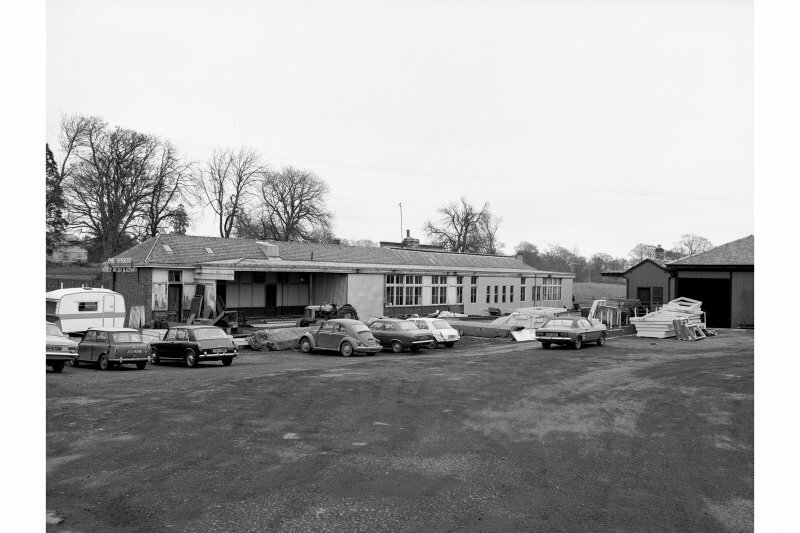 At the heart of the complex was the main Passenger Station Building, with piended slate roof, and additional bay with canopy. 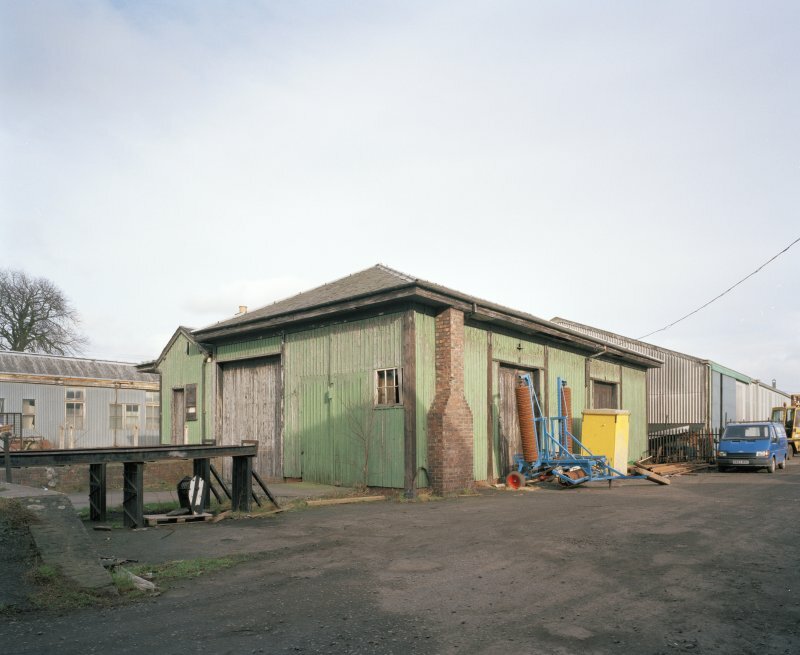 This survey was conducted following a proposal to demolition the timber framed Goods Shed, passenger awnings, and the Weighbridge. Visited by RCAHMS(MKO), February 1998. Formerly two platform through station. Consists of wooden platform shelters with awnings. 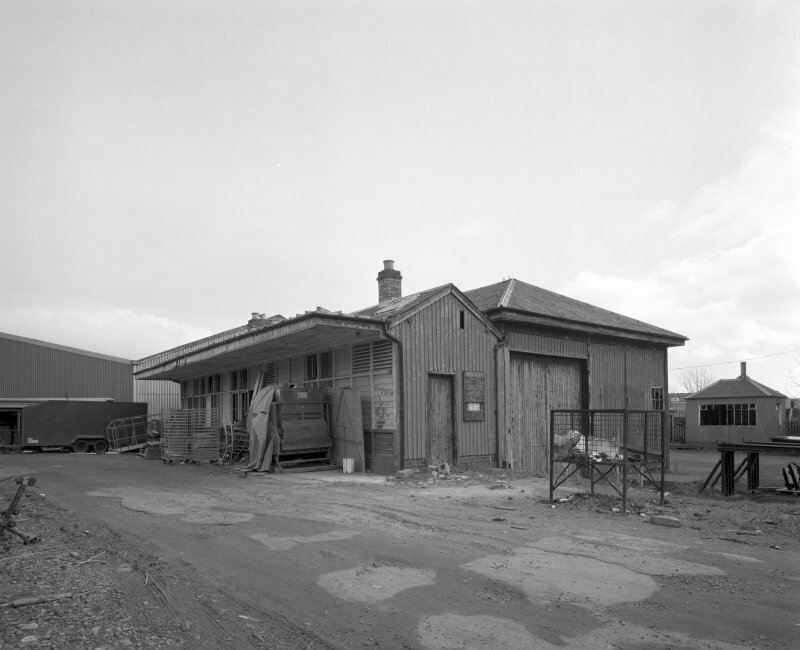 Up plat-form goods shed, down platform offices. 1849.